The "Fútbol International Observatory" (CIES) has revealed the best season's formation of the European continent. In this list are included famous world football players, Manuel Neuer (Bayern) is the goalkeeper of this formation. The defense is formed by Bruno Peres (Roma), Javi Martinez (Bayern), Matt Hummels (Bayern) and Alex Sandro (Juventus). The midfielders are Thiago Alcantara (Bayern), Naby Keita (Leipzig) and Paul Pogba (Man United). The best 11 is completed by the trio, Cristiano Ronaldo (Real Madrid), Lionel Messi (Barcelona) and Dier Mertens (Napoli). But apart from the best formation, CIES has not left aside the goalkeeper of the Albanian national team, Etrit Berisha, considering him one of the best goalkeepers in the market. 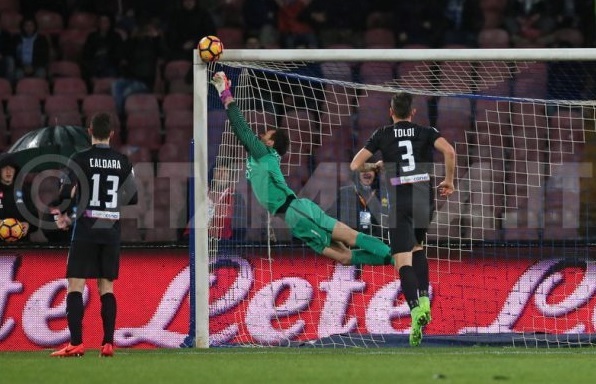 Atalanta's Guardian has been one of the most prominent in this season and turns out to be the best goalkeeper of Serie A, according to a survey based on the statistical data of the 5 strongest championships (La Liga, Premier Liga, Bundesliga, Series A, Liga 1). Berisha is rated with the overall score of 81.5, being the fifth in the overall list of goalkeepers of these five championships.